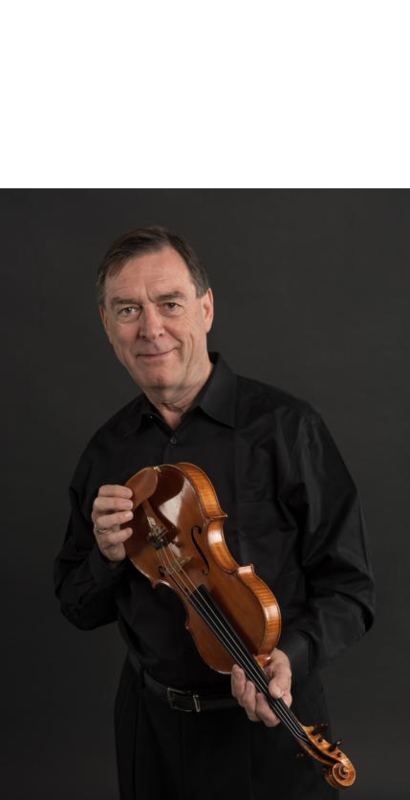 When Roy Malan relinquished his position as concertmaster of the San Francisco Ballet Orchestra, his forty year first-chair tenure with the orchestra set a record for any major orchestra countrywide. During the SFB's season Malan was heard in the opera house every evening (or on tour around the world) in the grand ballet violin solos of the literature, which included most of the major concertos. Herb Caen reported that these solos alone were worth the price of admission. Colleagues have described Malan as the last of the romantics whose sound alone identifies him. His contribution to the area's musical life is unusually wide-ranging. As a founding member of the San Francisco Contemporary Music Players (the oldest in the country) Malan has performed standard cornerstone as well as hot-off-the-press new music, collaborating personally with such luminaries as Olivier Messaien, Elliot Carter, Pierre Boulez, John Cage, Walter Piston, Virgil Thomson, John Adams, Andrew Imbrie, Dave Brubeck and Frank Zappa. His training at the Curtis Institute of Music with Efrem Zimbalist (product of the fabled Leopold Auer's virtuoso stable in St. Petersburg) and at Juilliard where along with classmates Itzhak Perlman and Pinchas Zuckerman he studied under the 20th century's star-producer Ivan Galamian, has provided Malan with all the necessary wherewithal. Additional mentors include Jascha Heifetz, Yehudi Menuhin and Oscar Shumsky. As a teacher Malan has placed students in most of the Bay Area's orchestras and professional chamber groups. He founded and has for forty-four years directed a thriving summer chamber music festival with pianist Robin Sutherland in Telluride, Colorado. In addition he is the author of an acclaimed biography of Efrem Zimbalist, who bequeathed Malan his choice collection of nineteenth century French bows. Quite a collector himself, Malan specializes in art pottery, Chinese Sung Dyansty porcelain, and California Impressionaist paintings of the last century. Former affiliations: Ithaca College; Stanford University; first violinist: Porter Quartet, Stanford String Quartet, Ives Quartet, Crown Chamber Players, San Francisco Piano Trio. Teachers: Ivan Galamian, Efrem Zimbalist, Yehudi Menuhin. Performances: solo and chamber music in the United States, Canada, Mexico, Europe, Australia, and Africa. Interests: emphasis on 19th-century literature and performance practice and on virtuoso techniques; chamber music. Recordings: Sonatas, by Efrem Zimbalist and Efrem Zimbalist Jr. (Genesis Records); Sonatas, by Robert Russell Bennett and Ottorino Respighi (Orion Master Recordings); Fredrick Kaufman Concerto, Violin Sonata (Orion Master Recordings); Music from Telluride (Transparent Recordings); and numerous contemporary works for CRI and Newport Classics, including a solo violin piece, Gihon, written for him by jazz flutist James Newton. Pedagogical philosophy: acquisition of the technique, tone, and general musical culture essential for performing the Classical, Romantic, contemporary, and virtuosic basics of the repertoire; cultivation of the sensitivity and discipline essential for chamber music playing.